We're your smart choice for your near shore solution to outsource the responsibility of some company functions to an efficient and reliable source. The basic premise of business process outsourcing (BPO) is the focus on the core competency and to move the non-core business processes to Call Centers Honduras allowing for optimal use of your time and resources. BPO has grown immensely in the last decade and the list of functions being outsourced has expanded from traditional call centers to include back-office or middle-office functions such as purchasing and disbursement, order entry, billing and collection, human resources administration, cash and investment management, database manipulation, and pay roll. We will handle the following areas as your near shore solution. Honduras offers an ample supply of English/Spanish speaking call agents. The Honduran agent speaks fluent and understandable English if compared to other territories. The Honduran time zone is conducive to hiring quality employees who work during normal business hours compatible with US time zones. This allows us to recruit and retain more competent employees due to normal workdays and workweeks. You can start with as little as one call agent. 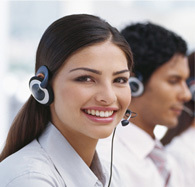 Our Call Centers will handle up to 75 AP's (Agent Positions). We are planning to install several Call Centers throughout the country. If you plan to have your own offshore contact center we are open to a joint venture or joint management.